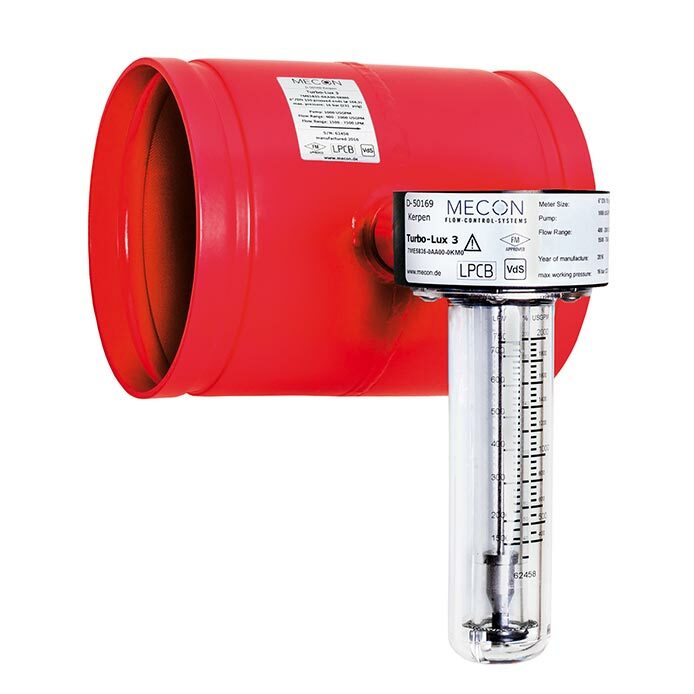 DN50 / 2" - DN300 / 12"
The Turbo-Lux 3 orifice flow meter is used to measure the volume of clear liquids and gas flows in closed pipelines. The installation position and direction of flow are flexible. The areas of application focus on use in stationary water-based extinguishing systems in water supply test pipes. With only two components, the Turbo Lux 3 is supplied as standard with ISO6182-12 grooved end connections for ease and speed of installation. • Nominal size from DN50 / 2" to DN300 / 12"
• Can be installed in any angle of pipe, horizontal through to vertical.